The most critical parts of the machine that you need to consider are the cutter tools. The trenching machine has a whole cutting system that should be checked. You should start with the bobcat trencher teeth. That is because they are the part that does the actual cutting of the soil hence they are most affected by wear. In most case, trencher teeth become dull or blunt thus making it impossible to cut effectively. That is why they should be maintained by either sharpening regularly or replacing. Other parts of the cutter system that should be check are the chain and the sprocket. Note that a worn digging chain is dangerous to the machine and the operator. 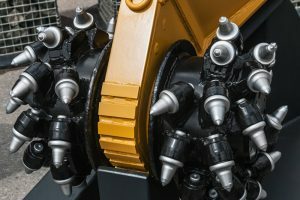 The main Bobcat trencher drive parts that you need to check is the engine. This is the part that provides the machine with the power to move the cutter system. There are two key things that you need to look for in the engine fruit and the gauges. The modern bobcat machines are using hydraulic systems, and that is why you need to check the quality of the fruits from time to time. You should check the hydraulic hoses for damages, weathering or bulges. Start the engine and check if all gauges are working fine. The essential thing to check is if they can remain normal at levels. Pressure and temperature are two key gauges that require frequent check-up. If you notice strange levels, there is a problem. This should have been the first thing. The kind of soil you are digging is a critical factor to consider when bobcat trencher. The abrasiveness of the soil will greatly impact the rate of wear and tear of bobcat trencher teeth. Therefore, you must ensure that the kind of soil that you are digging is perfect for the trencher teeth that you have on the machine.